Simply perfect. 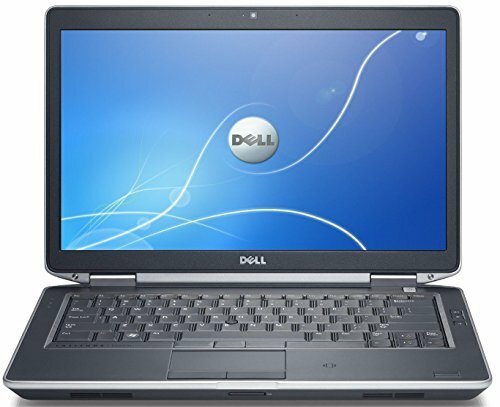 Everyday computing just got easier with the Dell Latitude E6430 Notebook PC. Enjoy true reliability on the road or at home with a simple, yet powerful value-packed Notebook that gets the job done. Fully loaded with an Intel Core i5-3320 2.6GHz Processor and 8GB DDR3 RAM, the Latitude E6430 makes for a speedy and efficient PC. The 320g SATA Hard Drive provides ample space to store all crucial data safely. The 14″ HD LED-Backlit Display provides for crystal clear viewing. The Latitude E6430 is also pre-loaded with Windows 10 Professional (64-Bit) that offers a user-friendly interface.This Certified Refurbished product is tested & certified to look and work like new by a Microsoft Authorized Refurbisher. The product includes accessories, and is backed by a 1 year warranty. HotBestSelling, Proudly powered by WordPress.